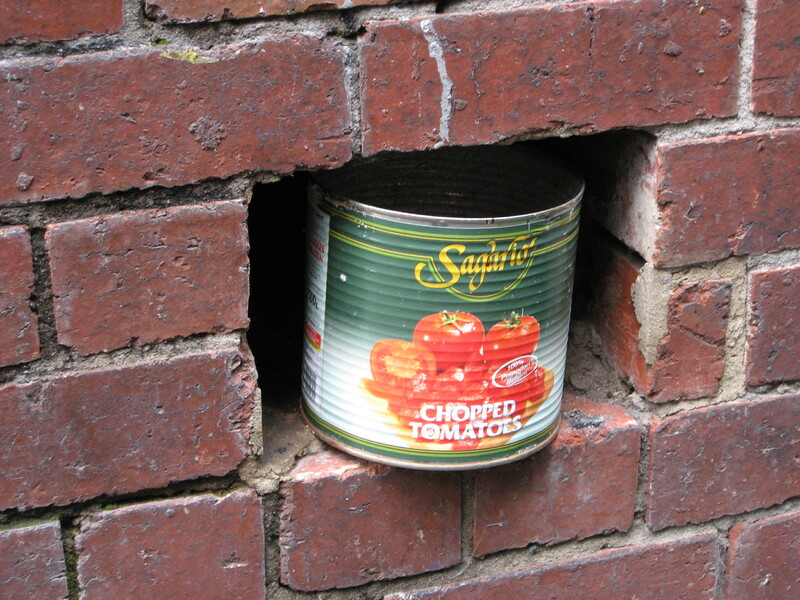 (c) I’ve created a hole in the brickwork so that we could put an empty vessel there (like an empty can of tomatoes). Does anyone have an idea, or is it simply another wonderful, great art installation? However, for the interim at least, I have categorised this as Questionable Art – The Ugly. This entry was posted in QuestionableArt, TheUgly and tagged #ArtInstallation, Art, brickwork, is it art? can of tomatoes, tin can, tomatoes. Bookmark the permalink.